The old church of Manordeifi was taken on by the Friends in 2000, following its closure. It is listed Grade II* and survives as a rare example of an unaltered ‘pre-ecclesiology’ interior. The chancel and nave date from the 13th or 14th century, the west porch being slightly later. The building was modified in the 18th century, and retains fittings from that time including a full set of box pews, the easternmost with fireplaces to warm their occupants, the westernmost slightly raised and decorated with fluted columns. Even counting the benches this does not substantiate the claim that in 1813 the church could seat a thousand people! Significant repairs to the roof were started in the Autumn of 2011. The font is 13th century, and the bell, which was recently restored, dates from the late 15th century. Manordeifi also boasts several fine monuments – including one to Charles Colby who had the unfortunate distinction of having been killed by a tiger in India in 1852. 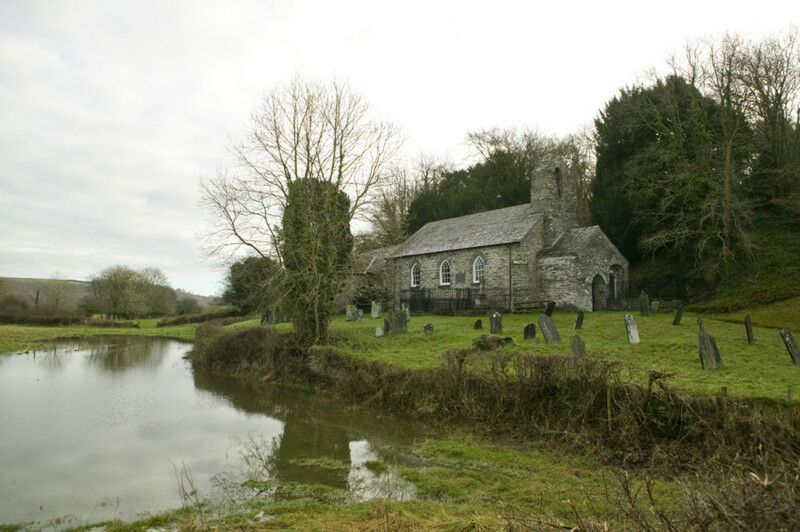 When in use the church would often be cut off by the overflowing Teifi river, and a coracle has been kept in the west porch to assist stranded worshippers. The Friends have recently completed a programme of repair to the fabric of the building, including the conservation of the rare surviving railings to monuments in the churchyard. Description are taken from a full history of the church, by Nigel Yates, published in the Transactions of the Ancient Monuments Society, Vol. 47, 2003. Please contact the office to order a copy of the article.